More and more people like watching movies on ipad, iphone and other removable player, however, they have not optical drives, the favourite dvd movies cann’t be played. Magic DVD Ripper can solve this problem easily. It can rip DVD to ipad, iphone as well as other video formats on your computer. how to rip a DVD, now i will show you step by step with Magic DVD Ripper software. Step1. Free download Magic DVD Ripper, then install it on your computer. Step2. Run Magic DVD Ripper, insert DVD disc into your DVD drive, then the DVD will show on the software interface as source DVD automatically. Step3. Click “Browser” button to select the destination where you want to store the video. Step4 Press “Covert”, select the title, audio and subtitle in the “Input” area, change the profile, split mode and file name in the “output” area according to your need. You can preview the subtile and modify profile by clicking “Preview” and “Edit” button. Step5. Press “Start” button to start ripping. The operation has complished. Fast speed without any loss of quality, pleaes enjoy it. If the DVD is not a disc but in your hard disk, you just need press “From hard disk...” to choose source in the second step, have a try. 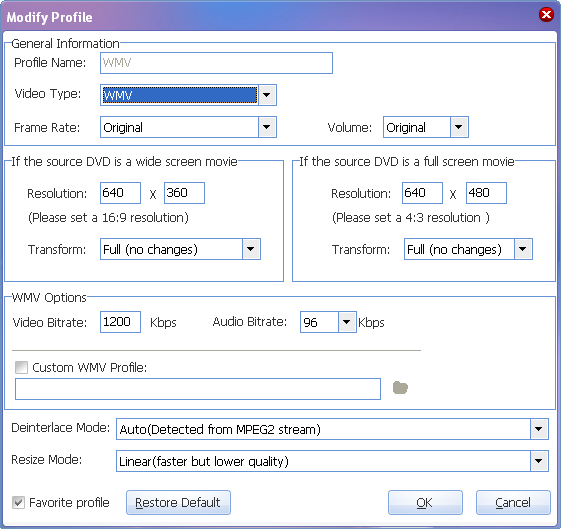 More questions, please refer to Magic DVD Ripper support . How to Change The Skin of Magic DVD Ripper? How to preview the title and select a clip to rip? How to Rip a Protected DVD and Keep the Subtitles?